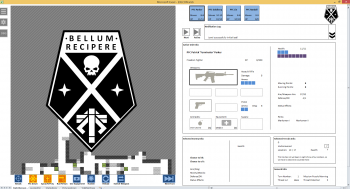 EXLCOM is a Microsoft Excel tactical simulator set between the events of XCOM: Enemy Unknown and XCOM 2. Let's say you're an XCOM: Enemy Unknown fan trying to learn Visual Basic for Applications code. What's the most impressive way you could possibly learn the ropes? 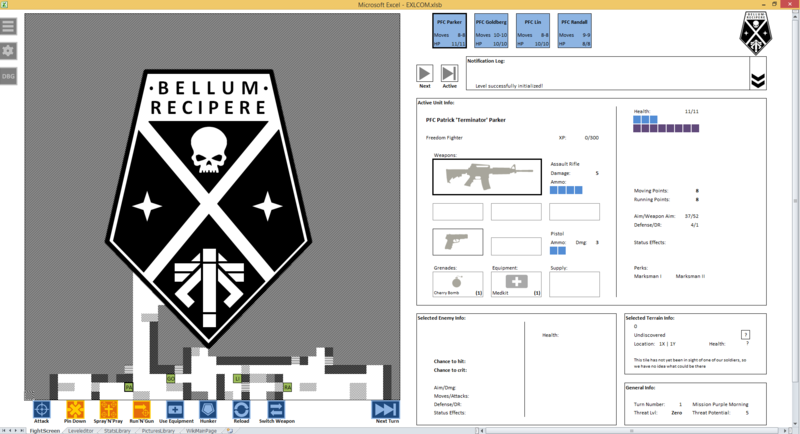 The correct answer: Code a playable version of XCOM in Microsoft Excel. 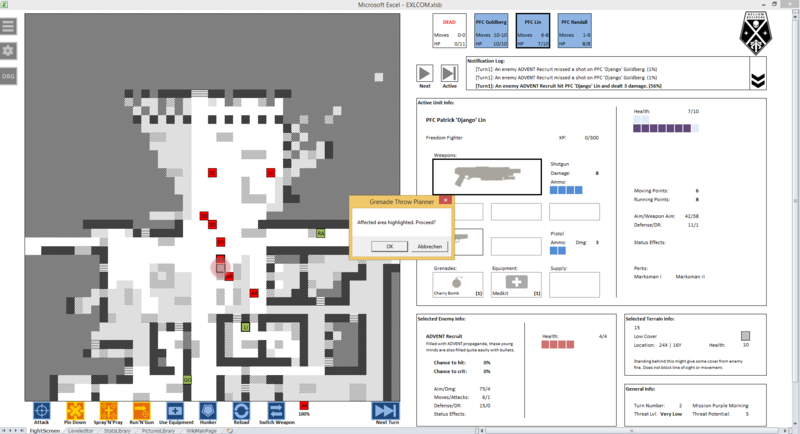 This game exists and is called EXLCOM, recreating tactical alien invasion scenarios as a turn-based spreadsheet experience. EXLCOM was created by Reddit user "crruzi" as a way of getting familiar with VBA's functions. The game is set between the events of XCOM: Enemy Unknown and XCOM 2, as human guerrilla fighters liberate a city under Advent control. 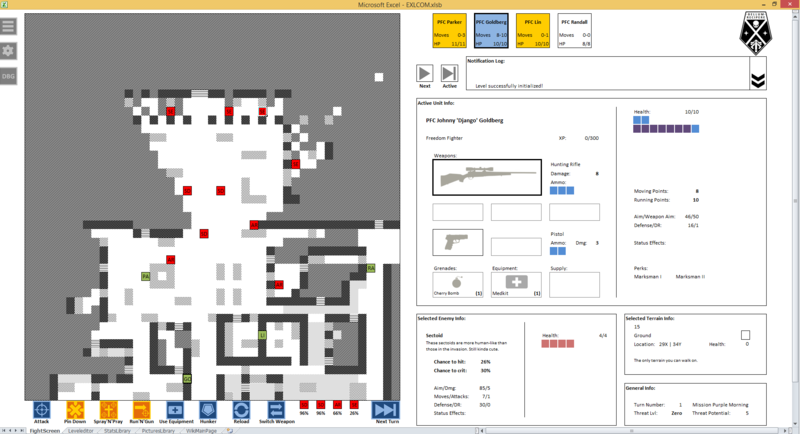 Each map element - from soldiers, to terrain, to alien attackers - is represented by colored squares on the spreadsheet. You can even select individual units to pull up their character stats, complete with weapons and health bars. Outside of the obvious graphics changes, EXLCOM still offers XCOM's tactical experience, right down to destructible terrain. 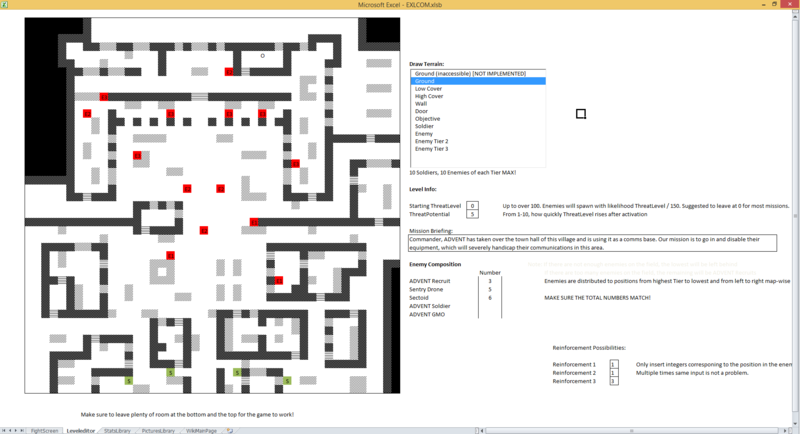 There's even a level editor for anyone hoping to design their own scenarios. But cruzzi isn't stopping here, and plans to tweak balance issues and add new features. Who knows, maybe EXLCOM will eventually have a base command mode so you develop and manage team resources! Either way, it's a great way to pass the time while we wait for XCOM 2. 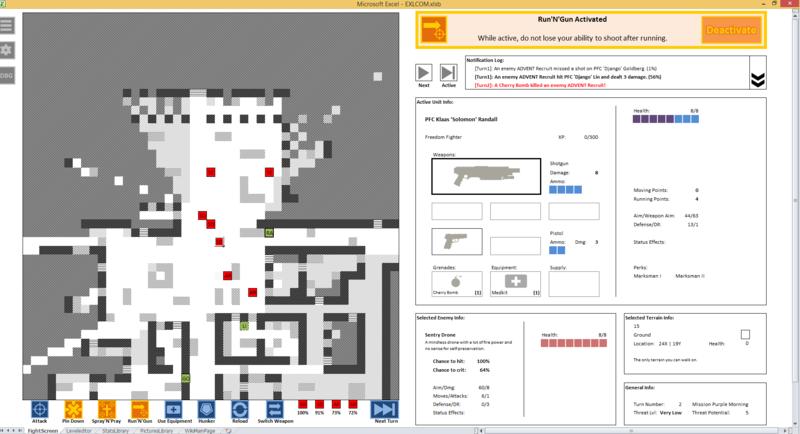 If you wish to test EXLCOM's current version, you can download it here.